Spring 2004 Texas Trip Photos! 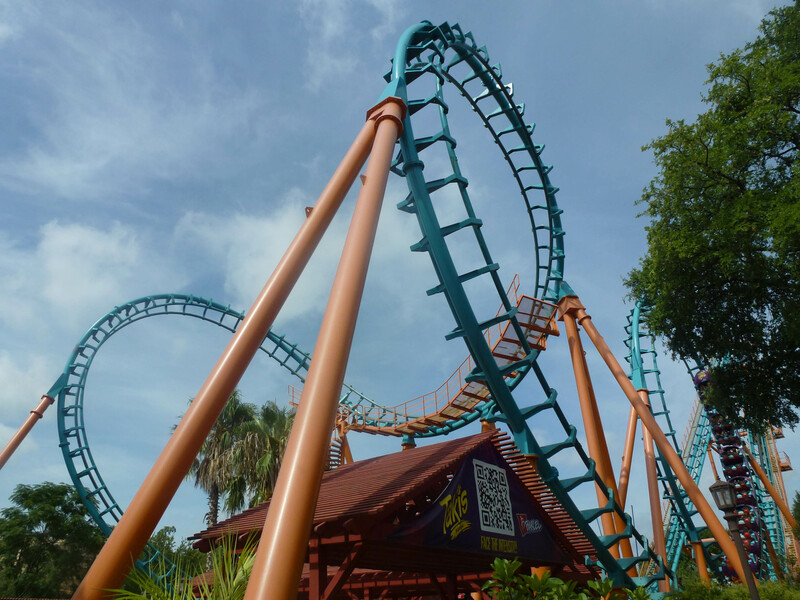 The park has a solid collection of coasters highlighted by the unique Iron Rattler. There's also Superman: Krypton Coaster, a B&M floorless that scales the quarry walls. 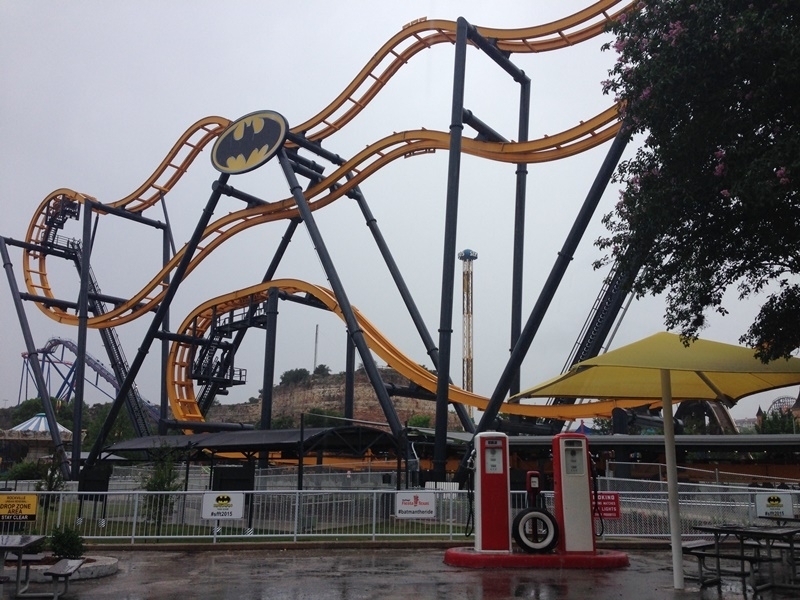 Batman: The Ride, the first S&S Free Spin 4D coaster. Wonder Woman's Lasso, the first RMC single rail coaster. 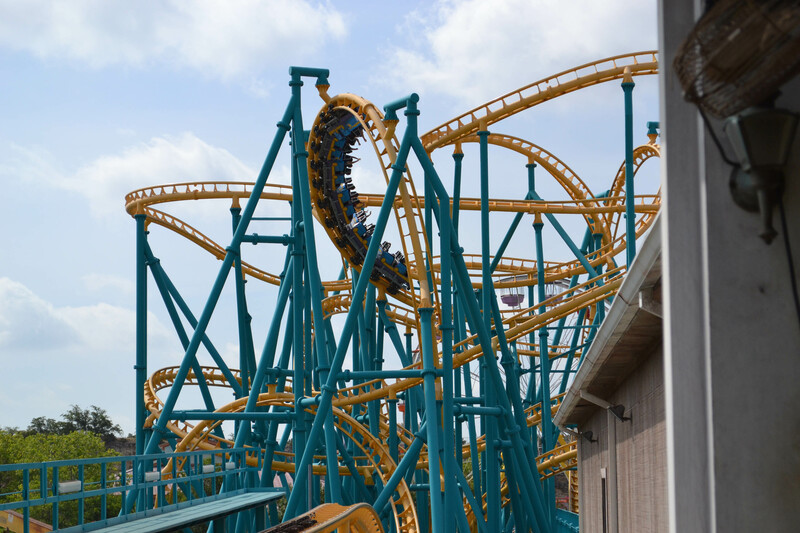 Goliath is a B&M invert that stands out at the front of the park. Poltergeist is a launched Premier coaster into a spaghetti bowl element. 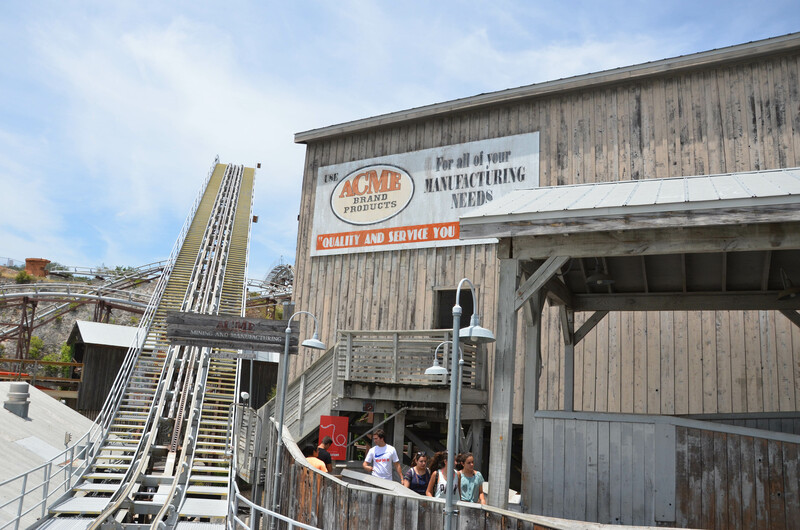 Two good family coasters are Big Spin (a fun spinning coaster) and Roadrunner Express, one of the best mine trains. 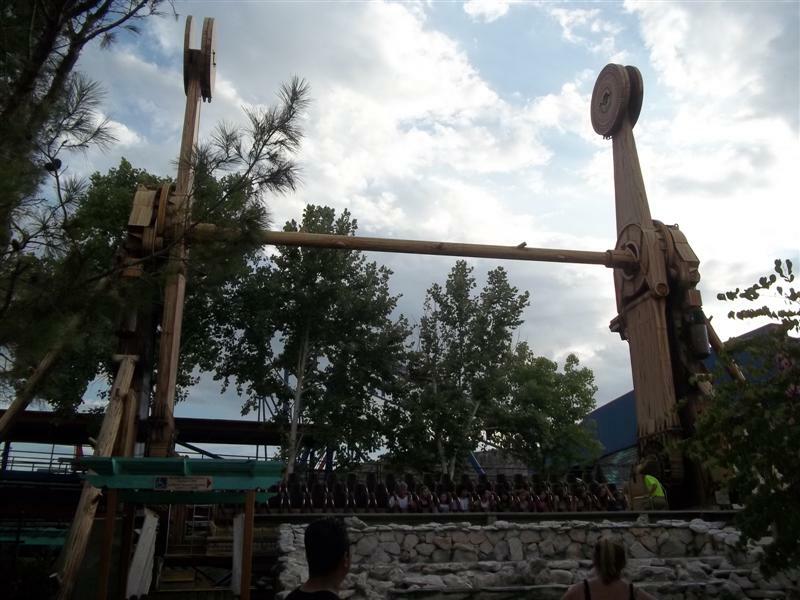 The park has a good selection of flat rides led by Bugs White Water Rapids, The Frisbee and Wagon Wheel. Be sure to take a trip on the park's train for some great views from underneath Superman: Krypton Coaster and Iron Rattler. The park has Johnny Rocket's and Panda Express locations in the park. You can find most of the traditional theme-park-food offerings around the park, with many locations selling burgers and Mexican food. The Sangerfest Halle Food Court has the most variety in one place. Also there are two locations in the park that serve corn on the cob off the grill, with butter and seasoning available. The park generally opens for the season in March with weekend operations. 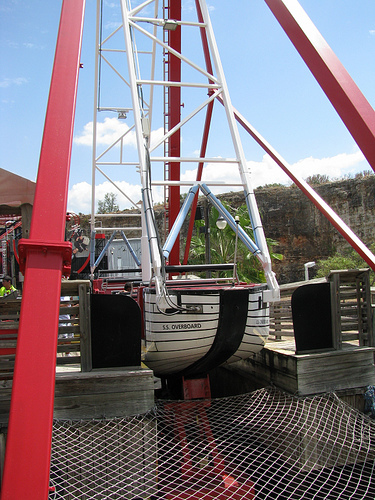 From Memorial Day to mid-August the park will have daily operations. 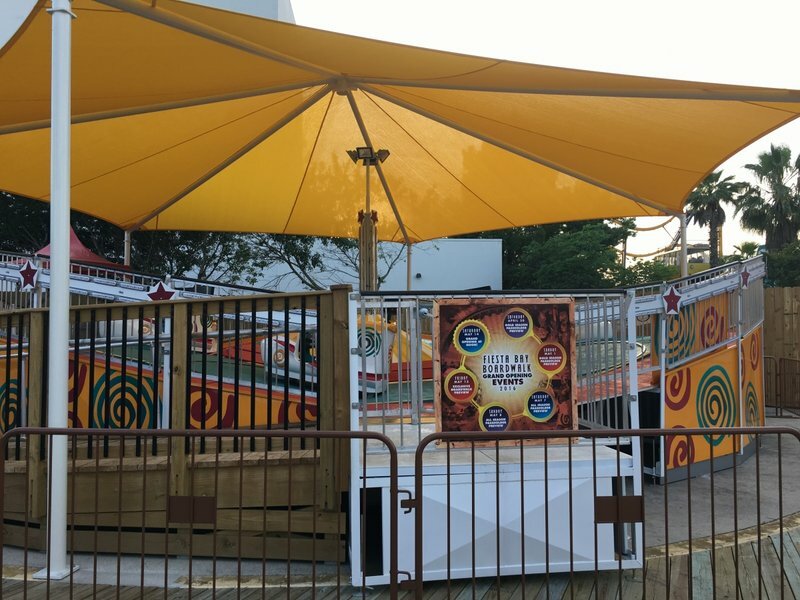 Weekend operations conitune for a few more weekends, then the park shuts down for a couple of weeks to set-up for October weekends of FrightFest. 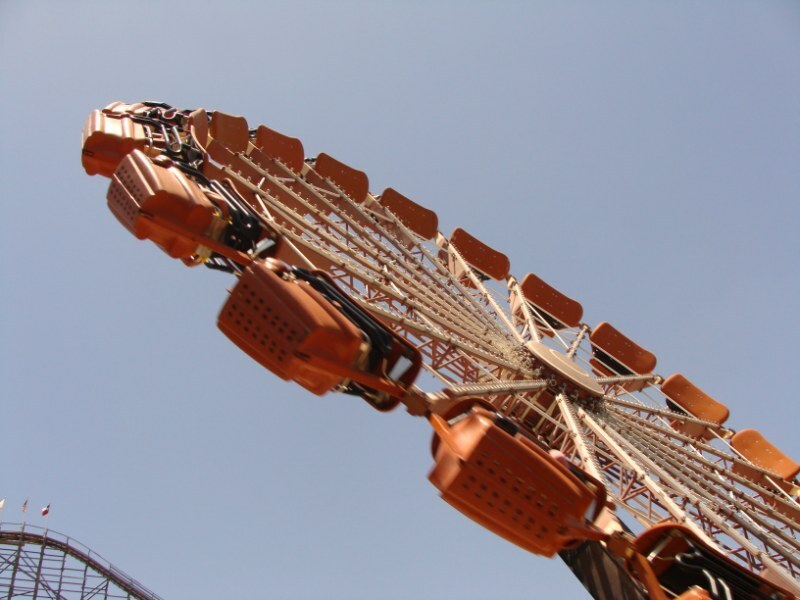 FrightFest occurs during weekends in October. 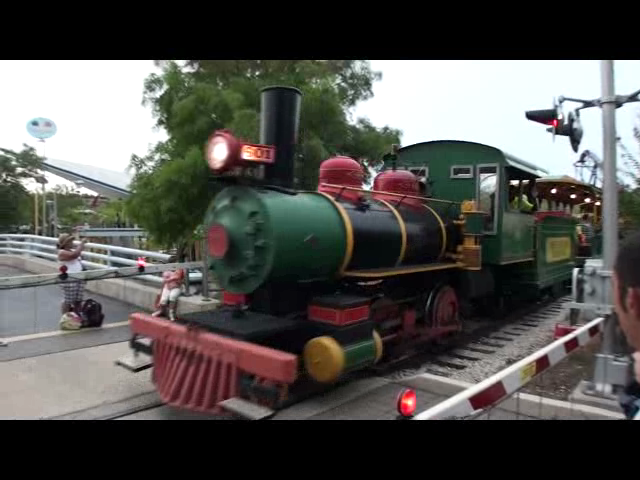 Holiday in the Park runs on weekends from mid-November to New Year's Day with limited rides. Bus service is available from downtown. 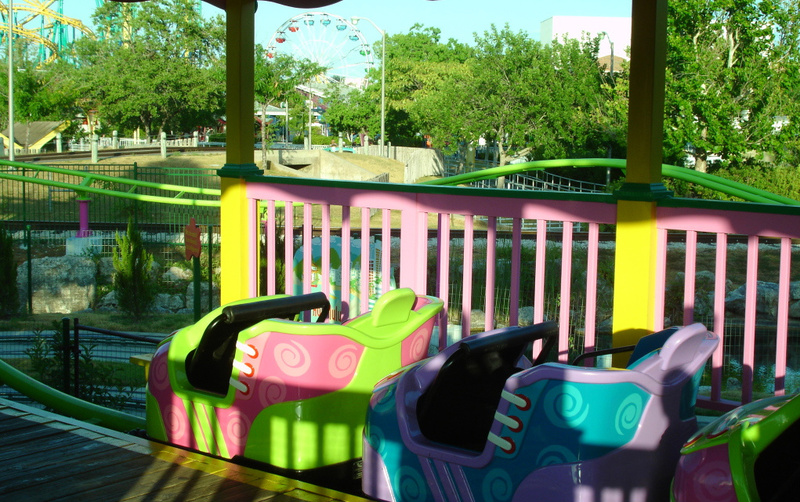 You can board a VIA Metropolitan Transit bus to Six Flags Fiesta Texas from downtown on Route 94 during park operation. Individuals may also board on Route 94 from Crossroads Mall on weekends. Passengers are dropped off just to the left of the park's main entrance. Call VIA Information at (210) 362-2020 for schedules. The park offers two different levels of Flash Pass to alleviate wait times. The park consistently ranks high in the Golden Tickets entertainment category with unique country, western, and Latino musical shows tailored to the local community. The park takes pride in these shows and their other rock and children's based musical acts. 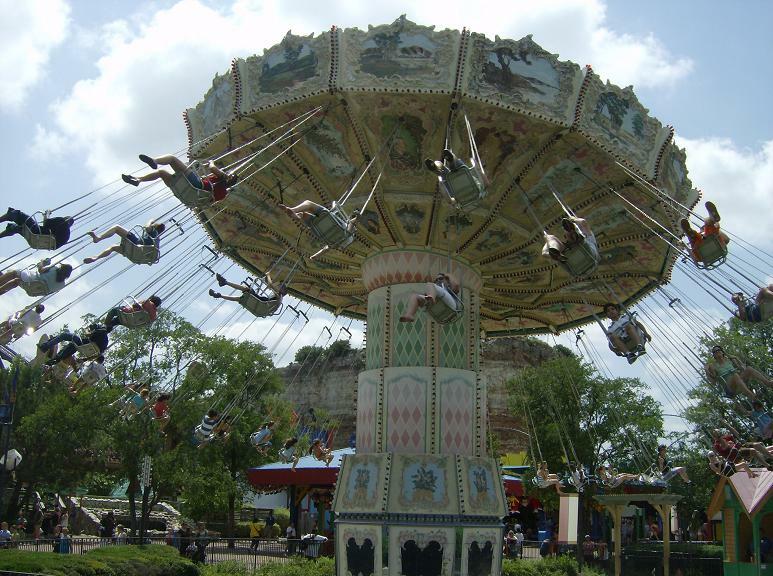 Six Flags Fiesta Texas is the most picturesque park in the Six Flags chain. 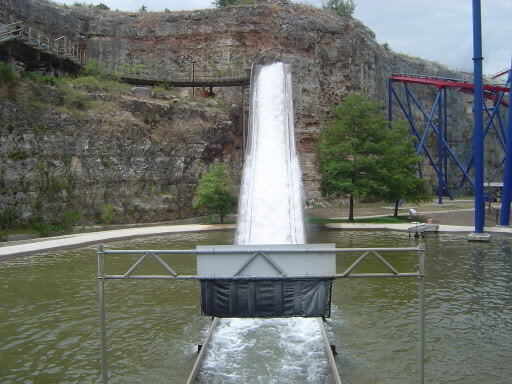 The park is built in a former rock quarry, which creates a backdrop for the park and allows for some unique interaction between rides. The park retains its charm from the pre-Six Flags days, although the friendly persona of San Antonians probably helps in this regard. Just because the park is retaining its charm doesn't mean the it isn't keeping up with the times. Very nice park. They have a few good flat rides. 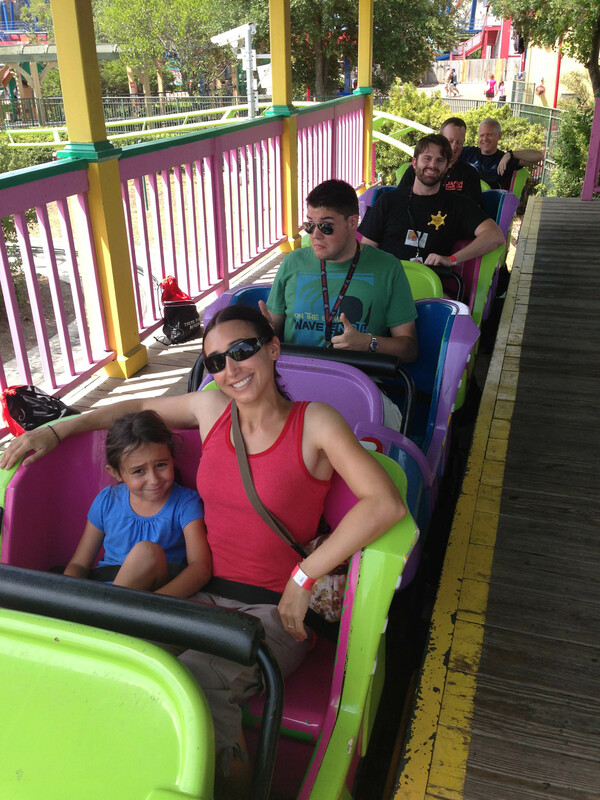 Most the roller coasters are really good. Plenty of shows. The free waterpark is a very cool extension of the park. Iron Rattler is one of the best roller coasters ever made. Could use some coasters and flat rides. They could also try to get a sit down restaurant with some good food. But overall, a good park. Love this park. Beautiful layout. Great rides and It's right next to where I work so it's the perfect place to blow off some steam after work. They've closed the Rattler which was an awful wooden coaster. Coming in 2013 is a hybrid coaster using some of the old Rattler's layout and will feature a one of a kind barrel roll never heard of before. 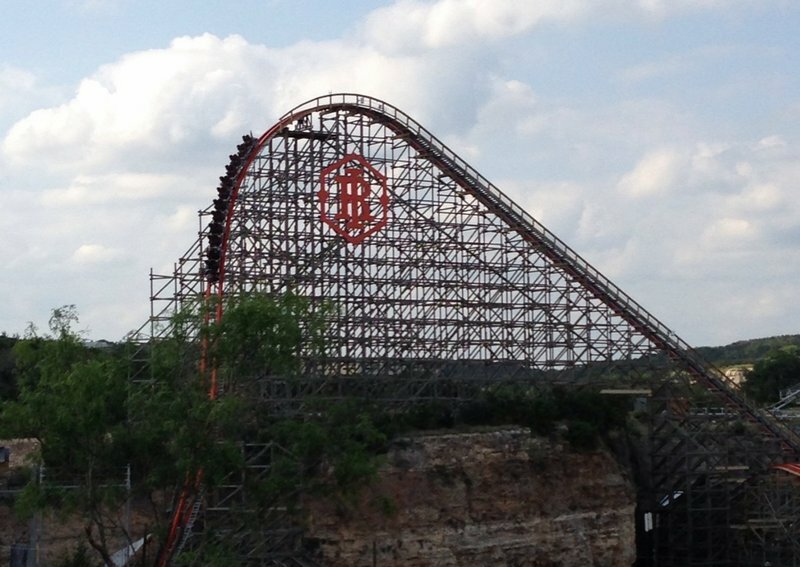 If it's anything like the Texas Giant in Arlington...it promises to be smooth and fun as hell! Season pass holder 2 years in a row! 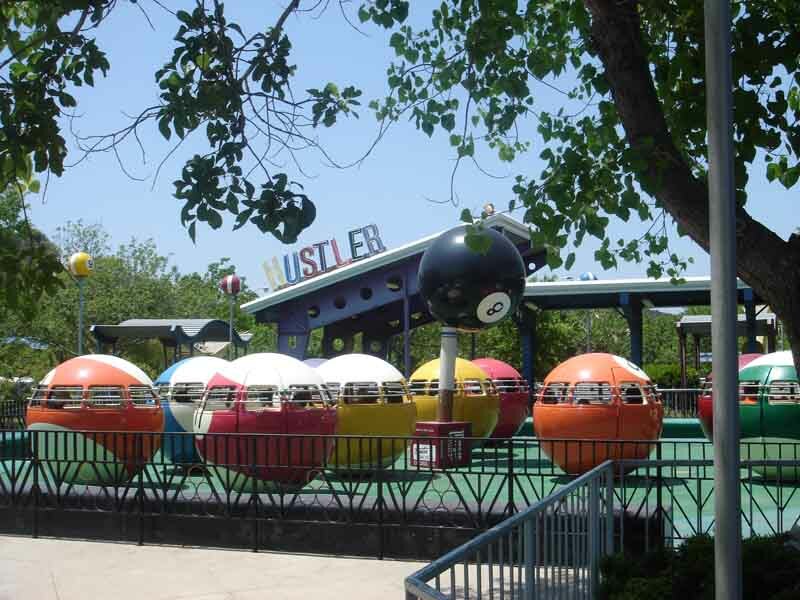 Probably one of the best parks in the Six Flags chain when it comes to setting. Unique setting in an old Limestone quarry. 2 great B&M coasters and a nice Premier launch coaster make it one of my favorite parks. Very nice water park with lots to do as well. Truly recommend. Fiesta Texas has the most unique setting of any Six Flags park, and is beautifully landscaped with a friendly staff. 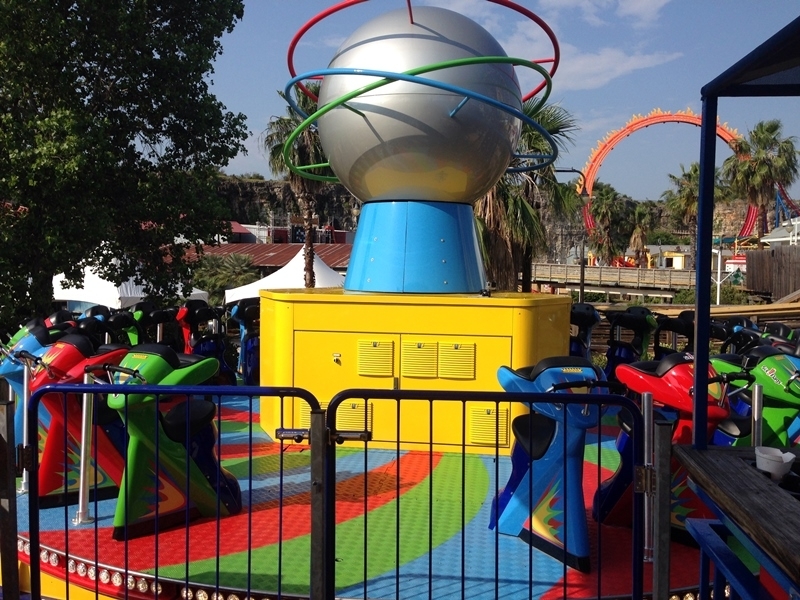 Refreshingly, the park has 5 well-executed themed sections and the rides fit in well. 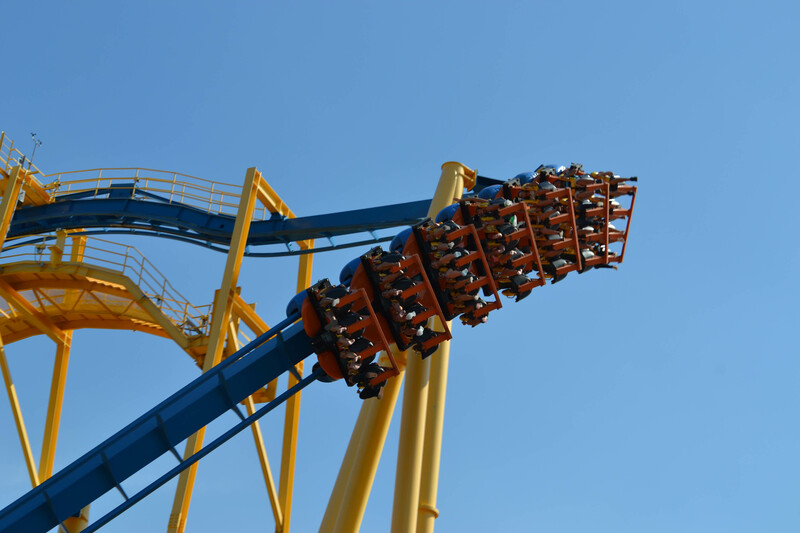 Superman is the standout, and may be the finest floorless built. Rattler lives up to its reputation as a massive, rough woodie, but it's certainly worth a try. The three clones are models that have proven themselves, and certainly add. Roadrunner is a surprisingly intense mine train (yes, I did say intense- try it, you'll see). An excellent flume and good flats collection, combined with included waterpark and top-notch shows help fill in a full day. Operations can be slow, and be sure to wear sunscreen, as the Texas heat can be fierce. 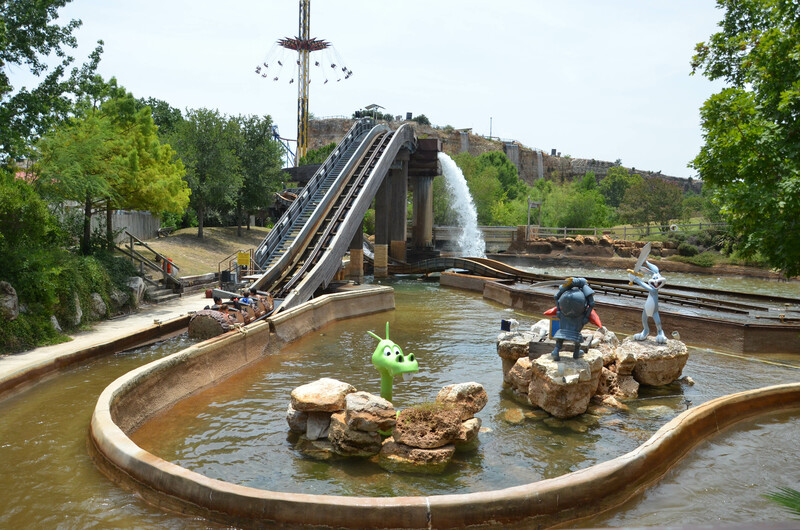 Six Flags Fiesta Texas is a very solid park that features a good collection of coasters, water rides, flat rides, and an award winning lineup of shows. The park also has a very unique setting with the back drop being an abandoned rock quarry. 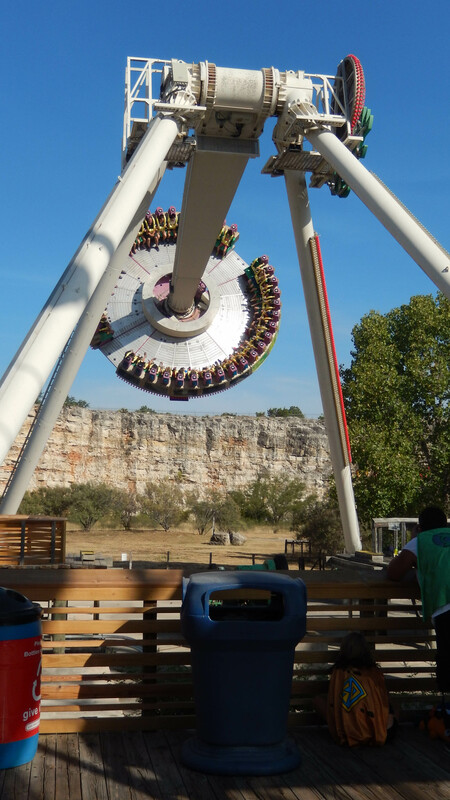 The star of the park is the unique terrain coaster, The Rattler, which dives off the top of and tunnels through the massive quarry walls. 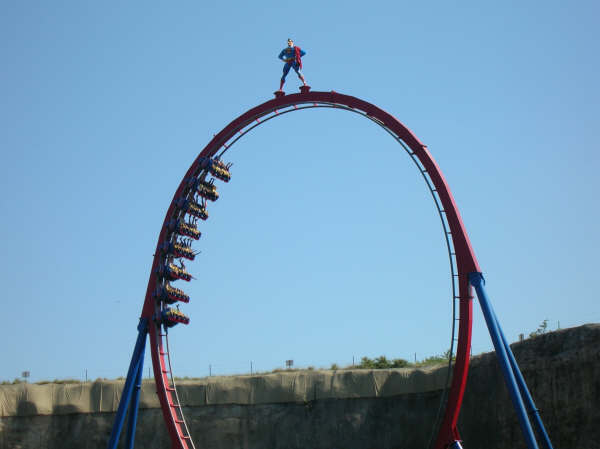 Superman Krypton Coaster is a unique custom B&M Floorless coaster that also utilizes the quarry walls and features 6 inversions. 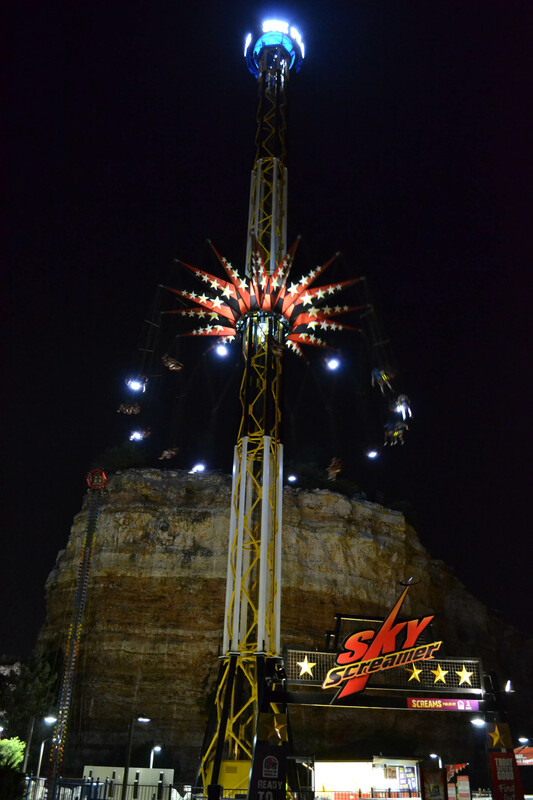 Fiesta Texas was a very solid park that I would like to visit again in the future! The area that the park is in is great (La Cantera Complex)! It is in a quarry so it feels like you're in a giant hole! The Rattler and Superman make use of the steep cliff walls. The park is relatively small yet packs a punch. 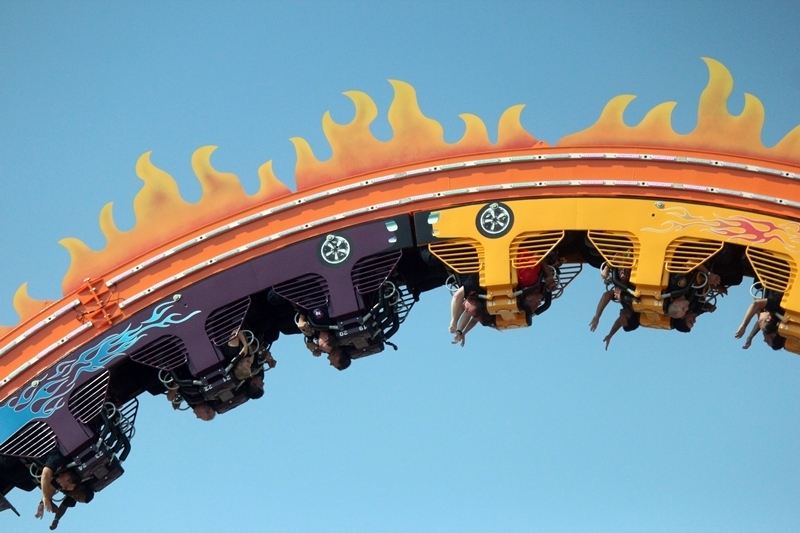 It also has a good variety of flat rides and shows to keep you busy if you're not into riding coasters (crazy people). Expect to find average food and service- usual Six Flags. Fiesta Texas is nice, is is the best in the chain, I don't think so. Out of the all the Six Flags parks, they win the award for best landscaping. 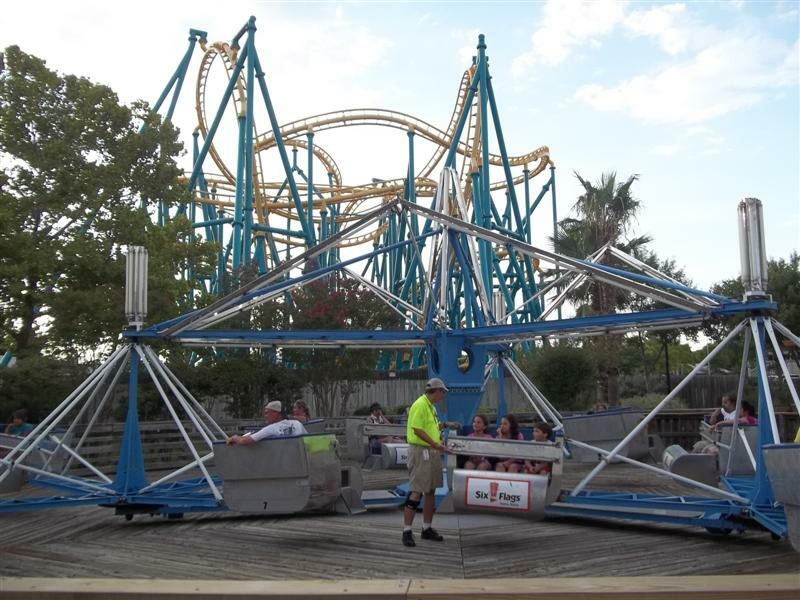 Superman is a good ride, the Rattler will Rattle you, Goliath delivers as do most of the clones, and of course the Boomerrang. 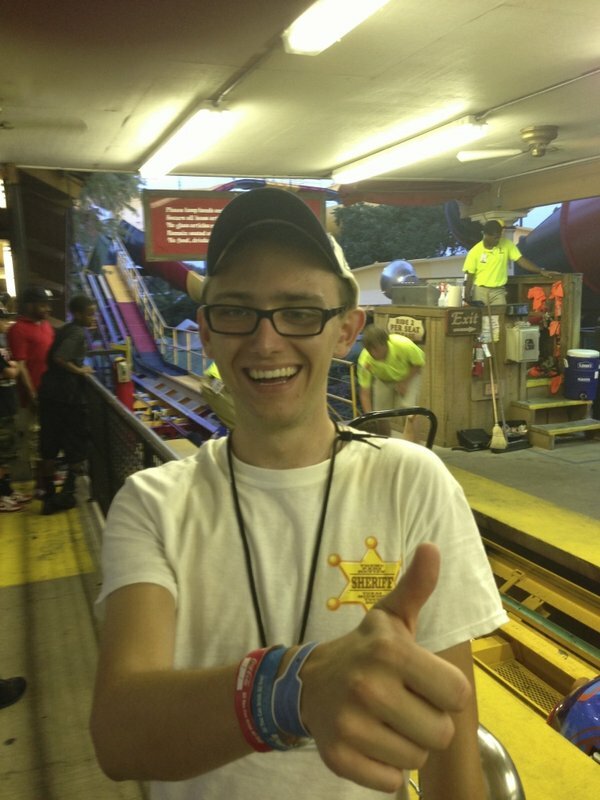 I happened to greatly enjoy their log ride and highly advise everyone try it at least once, even Dan might like it. You can't go wrong with a S&S tripple tower nor a frisbee. The park is in good part of town with plenty of retail and hotels to compliment your vacation. 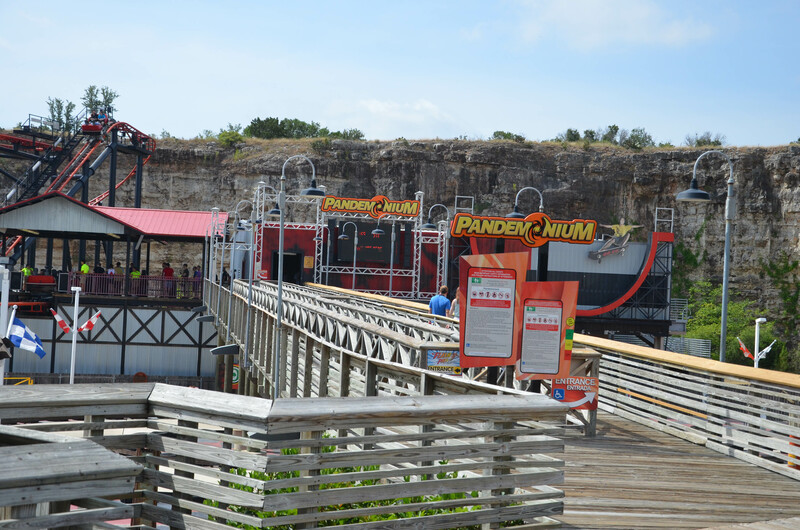 And while you are in town, be sure to check out the Riverwalk, Sea World, or Schlitterbahn! 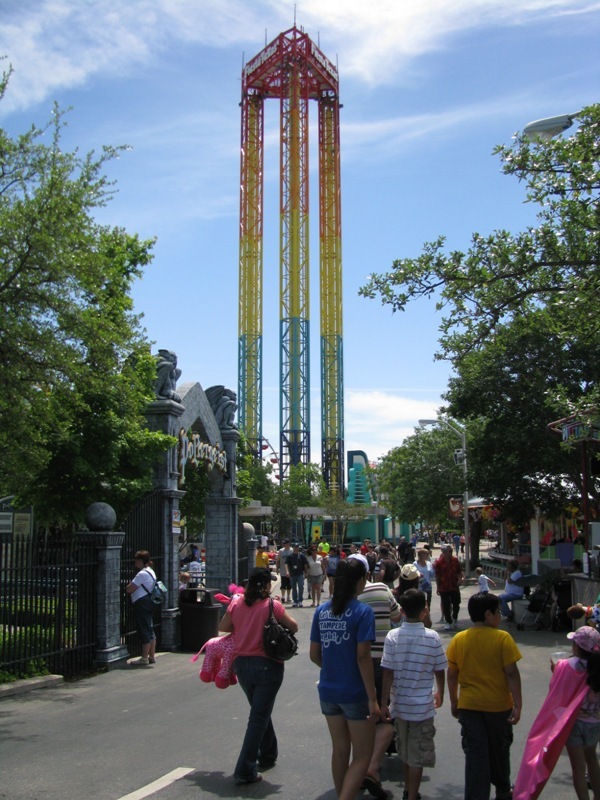 In my own opinion Fiesta Texas is the best Six Flags park I've been to and any other park. They have great shows, rides, food, people, and theme! The park is also the cleanest I've been to. 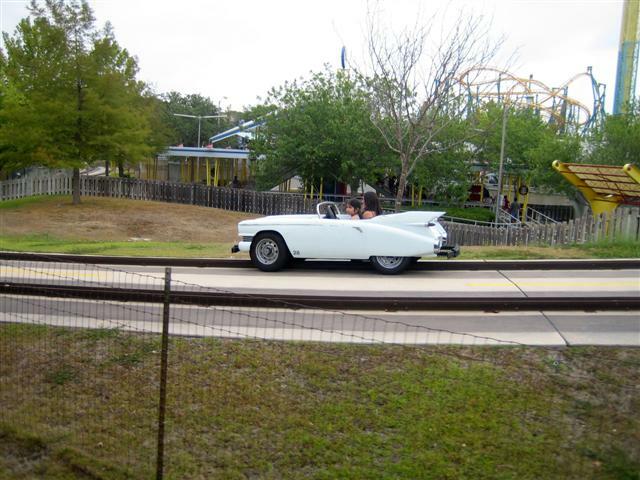 They also have great rides for the whole family to enjoy all throughout the park. They have two out-standing coasters; Superman: Krypton Coaster and Rattler that goes along the quarry wall that surrounds the park. The shows are the best in the nation, and I really support that, with the shows that came in 2011; Ovation and Lone Star Nights are great shows, that you cant miss! If you ever in the San Antonio - Austin area, and want to have a little FUN, check this place out! 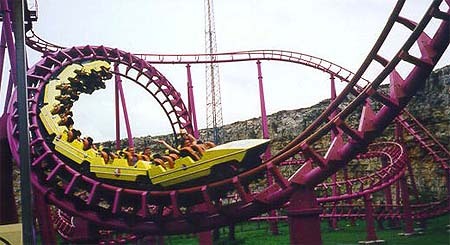 Fiesta Texas is a really nice park; it's well-themed, has a large variety of flats, and boasts a solid coaster collection. Superman Krypton Coaster is easily one of the best floorless coasters you'll ride, and arguably the most unique. Road Runner is a surprisingly good mine train. Rattler is so-so. The rest can be found at other parks but are maintained well here. SFFT is really pretty yet I wasn't completely blown away. I think the flat, shadeless nature of the park takes a lot away. This park is actually one of my favorites and is certainly as beautiful park. The setting is amazing and the rides are on par (expecially since Krypton is my #2). The only problem I find with it is the obvious Rattler, but other than that, I find this to be a very underrated park, excellent, excellent park. I really wasn't blown away at all with SFFT, but it's an above average park in a great setting. None of the coasters jumped out at me as being world class, but there are plenty of solid rides. 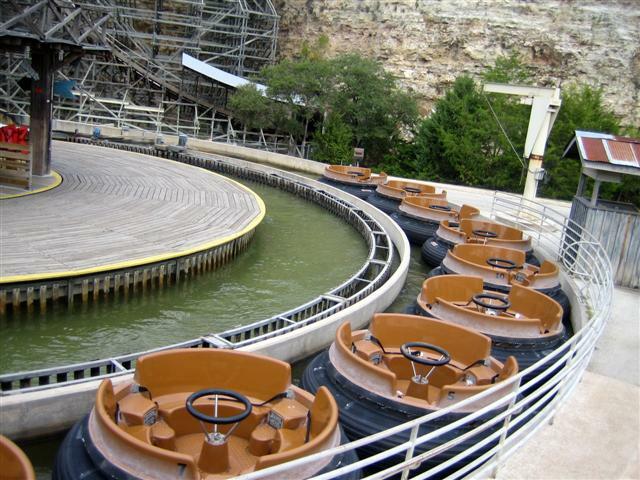 The flume was also well-themed and wet. Overall if your in the area, it's a great day out, and with Sea World and Schlitterbahn close by, there are plenty of park options. For the most part, I have had no "bad" experiences. There have been a few times I have been discouraged, but only minor. The park is very beautiful and its layout is odd, but is easily navigable. 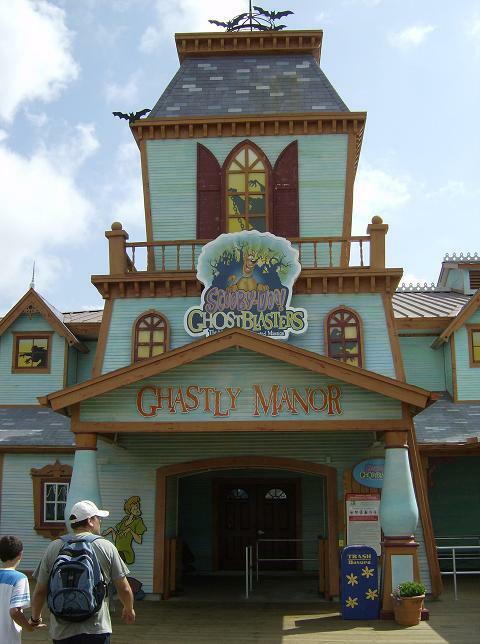 The only time (I) saw a ride closed when I wanted to ride it was the Rattler, and that was in the middle of summer. Expect heavy crowds on weekends, but lighter crowds on weekdays. 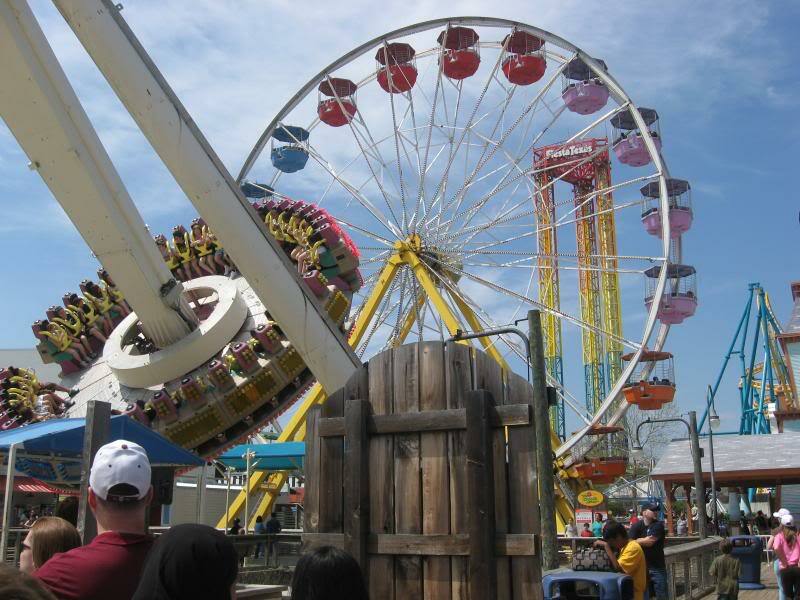 There are enough thrills, shows and other attractions to keep you all busy. The children aren't left out either! Included waterpark is very good. Nice selection of rides, shows, and attractions. Famous and fun nighttime show. 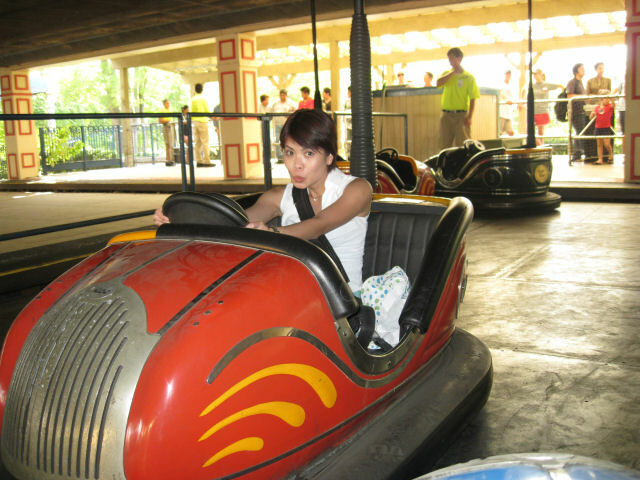 Can get very busy in the hot, humid summer.